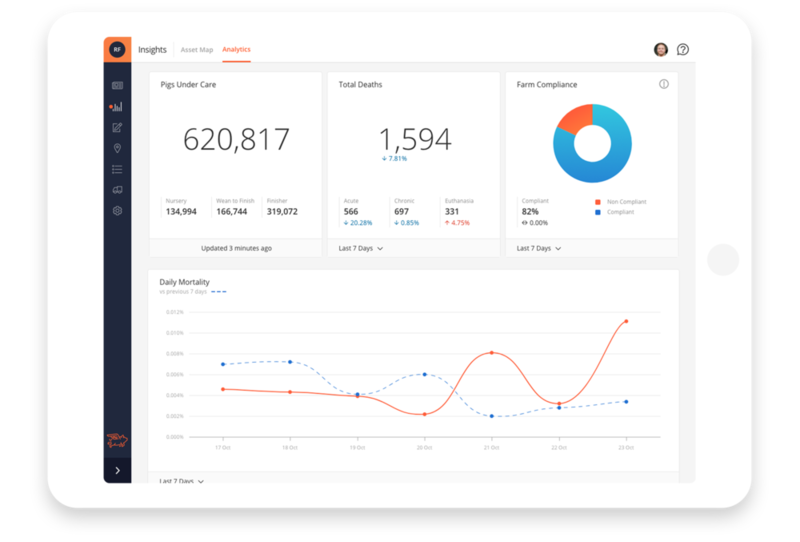 EveryPig is a simple yet powerful pig health and production management tool. Stay on top of pig health issues as they appear and track outcomes from start to finish. Monitor inventory from anywhere. View caregiver and farm manager activity and create a sense of community within your operation. Advanced Management Tools for Pig Owners. EveryPig is the easiest way for pig owners to stay on top of every farm, employee, and pig, wherever they are. Real-time pig health insights for Veterinarians. 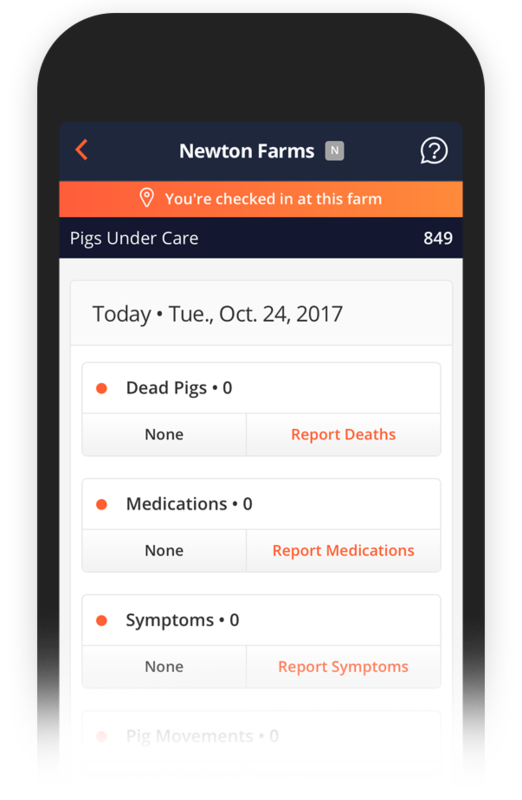 Understand what’s happening on all your farms, and keep track of pig health concerns in real-time to improve pig health outcomes for your herd. Cutting edge technology for the swine industry. We are at the forefront of artificial intelligence and veterinary medicine. We put powerful technology in the hands of pork industry stakeholders to improve communication and herd health. Having trouble managing a growing pork production team while at the same time keeping track of everything happening on your farms? Pig owners and veterinarians turn to EveryPig when spreadsheets, faxes, emails, and text messages aren’t doing the trick. Pig owners and veterinarians turn to EveryPig when they can't get the real-time information they need regarding herd health using older pork production software products. EveryPig is a centralized communication platform for you pork production or veterinary operation. Stay in control of your operation from anywhere. Utilized by some of the world’s top pork producers, EveryPig supports a wide variety of business models, legacy software integration, and can be accessed on any device, including smartphones, tablets, and desktop computers. Say "Hi" to VetBot, your Ai veterinary assistant. Our artificially intelligent VetBot never sleeps and will supplement your veterinary staff by continually monitoring all your farms. When more information is needed from the field, the VetBot asks automatically, saving vets time and improving pig health outcomes. Give your company employees and contractors one platform on which to collaborate. Answer questions and give immediate feedback when pig health issues arise in the field. EveryPig is easy to use. Your employees and contractors will get the hang of it in hours, not weeks. In-app positive reinforcement, comments, text message/email alerts and @ mentions make it a breeze to use for any level of tech proficiency. EveryPig is a mobile-first web app that works on any internet connected smartphone, tablet or computer. We also know that not all users are fluent in English. That’s why we have built-in Spanish language support.